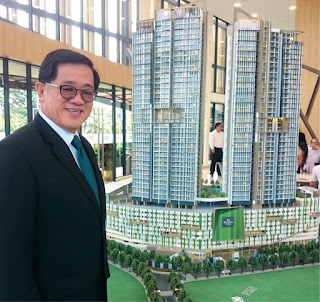 Little-known Johor Bahru-based property developer BCB Bhd, which has seen its earnings balloon near six times in the last four years, is scaling down its launches to bite-sized portions as headwinds continue to buffet the local property market. “The property sector has been hit by the tightening in loans [by banks], with about 80% of house buyers’ loans being rejected. I hope there will be some relaxation from the authorities on this. They should not be so tough on [loan applicants]. Even the Australian government allows their people to use up to 70% of their salary [to service] loans,” lamented BCB group managing director Datuk Tan Seng Leong. In view of the less-than-rosy outlook ahead, BCB is turning to smaller scale developments to pull itself through the current property turmoil. “We are now dividing projects into more phases and only introduce a few units in one phase,” Tan said. This, he said, is a good way to gauge how the market responds to new launches. 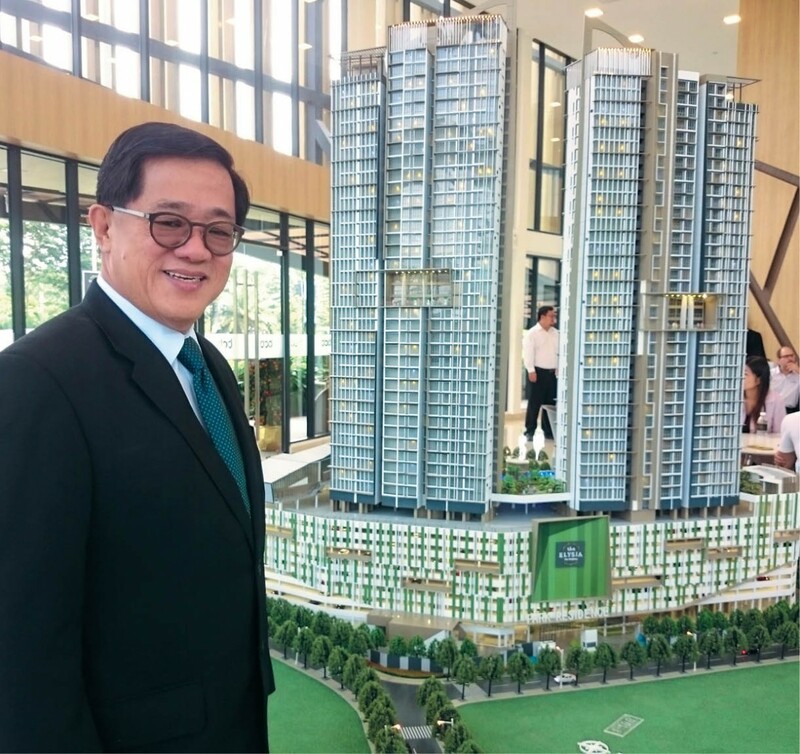 Citing its flagship high-end condominium project called Elysia Park Residence@Medini in Iskandar Malaysia as an example, he said the group only embarked on the second phase of the development after it secured 80% confirmed sales from the first phase. “I think this is a sustainable business model,” said Tan, adding this would help address the problem of excess supply in the property market. The shift in strategy came as BCB’s latest earnings showed that the group may be heading for a possible decline in earnings this financial year ending Dec 31, 2016 (FY16). Its third quarter ended March 31, 2016 (3QFY16) net profit more than halved to RM3.61 million from RM7.66 million a year ago, due to lower sales; quarterly revenue dropped 30.5% to RM63.02 million from RM90.63 million. For the cumulative nine months ended March 31, 2016 (9MFY16), its net profit fell 17.4% to RM20.41 million from RM24.71 million in 9MFY15, as revenue weakened 15.1% to RM244.82 million from RM288.3 million. Nevertheless, Tan, unfazed by the weaker numbers, remains optimistic that the group’s earnings for FY16 will be comparable with the previous year’s. He shared that the group has recorded RM250 million in sales to date, and is confident of achieving its full year’s target of RM300 million. “Our current unbilled sales stand at RM300 million, which will be realised over the next three years. Further, we have a series of new [and upcoming] launches in Batu Pahat; we aim to generate about RM132 million to RM135 million sales per year from there,” he added. In Batu Pahat, where BCB is the largest player, Tan said the group controls between 60% and 70% of the property market there. Among its ongoing projects are: Taman Bukit Perdana (under which some 50 acres [20ha] of land will be developed), Evergreen Heights (200 acres) and Bandar Putra Indah (300 acres). Aside from that, Tan also said the group will embark on the development of Versis@Batu Pahat, a 10-acre mixed development comprising 70 units of three- to five-storey shophouses and a commercial complex. The gross development value of the project is RM600 million. “We have done the groundworks [for Versis] and the construction works should kick off by the third quarter,” he added. Tan also said Batu Pahat is still seeing good growth as the local economy there has not been affected by the economic downturn so far. “Batu Pahat is an industrial-based town and a vibrant secondary town. As the majority of the businesses there are export-oriented, they have benefited from the weaker ringgit,” he explained. Over in the Klang Valley, BCB also has several projects in the pipeline. They include: Phase 2 of HomeTree at Kota Kemuning, Shah Alam, which Tan said will keep the group busy for at least two years. Meanwhile, Tan said BCB still has 850 acres of land bank in Batu Pahat, Johor Bahru, Klang and the Klang Valley, which he believes can last the group between eight and 10 years. “We’ll continue to acquire new land in the Klang Valley and Johor, sized between 50 acres and 200 acres per plot. We can still find reasonably priced plots in the current market cycle. “What is important is the point of entry. The point of entry will determine the survival of a property developer. If it’s too high, it would be risky for us,” he explained.